On the first Sunday of Lent, the Gospel reading each year is about Jesus’ temptation in the desert. The forty days that Jesus spent in the desert are a reference to the forty years that the Israelites wandered in the desert after being led from slavery in Egypt and the forty days and nights the prophet Elijah also traveled in the desert. Lent is an opportunity for us to set aside forty days for a time of repentance, of giving up things that tie us to this world and looking instead to the life and teachings of Jesus. Think of time of suffering in your life. What gave you courage to persevere? How can you be a source of courage for others who are suffering? ALL: "God of peace, have mercy on us." Jesus, you call us to renounce violence, love everyone, practice nonviolence, oppose war, dismantle nuclear weapons, resist injustice, embody peace and love our enemies. God of peace, have mercy on us. Jesus, you are our Lord and Savior, our Brother and friend, our life, our hope, our peace. God of peace, have mercy on us. – Excerpt from “Prayer for International Nonviolence Day” by John Dear, published by the National Catholic Reporter on August 11, 2009. Consider letting go of habits that prevent you from listening without being defensive and speaking without judgement. Make time this week to read a meditation by the late Father Dean Brackley, S.J., called “Meeting the victim, falling in love” published in America Magazine in 2011. “I am finishing my ninth year in El Salvador living and working with youth in the small town. It has been such a blessing to able to accompany the youth in their journey for a better future. 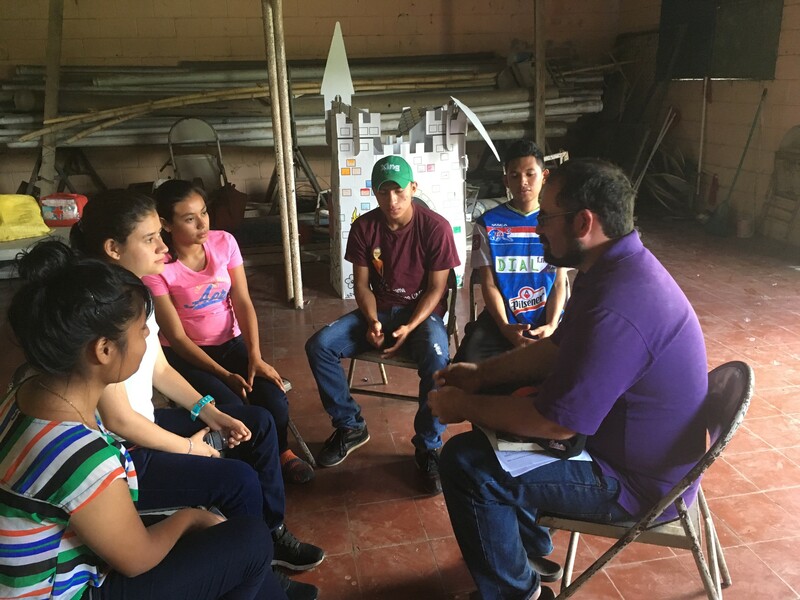 “The reality of the youth in El Salvador continues to be very difficult, as they struggle to go forward with few opportunities for education and employment. Many kids are dropping out of school in the 6th and 7th grade, and very few have the chance to go to the university. There is also a lot of violence and many youth are caught in the middle of a war between the gangs and the police/military.